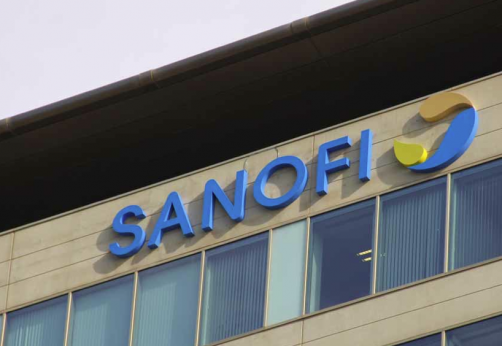 Sanofi and Regeneron released a battery of new Phase III data on their PCSK9 inhibitor alirocumab this week, reinforcing the drug's efficacy and long-term safety. A special session on the company's ODYSSEY trials programme - held at the American Heart Association meeting in Chicago - showed that the cholesterol-lowering drug achieved significant reductions in LDL-cholesterol across a range of patient groups and sets alirocumab on course for regulatory filings later this year. Sanofi and Regeneron are competing with Amgen in the race to bring a PCSK9 inhibitor to market, with the latter's evolocumab candidate already filed for approval, while a third player - Pfizer with bococizumab - is a little behind the leaders. Among the new data reported at the AHA were updated results from the ODYSSEY LONG TERM trial, which revealed that more than a third of patients with very high LDL-cholesterol at enrolment achieved levels of less than 25mg/dL after 24 weeks, despite having levels of 70mg/dL or more with statin therapy. Meanwhile, the ODYSSEY ALTERNATIVE trial showed that the PCSK9 inhibitor was effective in patients who cannot tolerate statins because of skeletal muscle side effects, cutting LDL-cholesterol levels 45% at 24 weeks while Merck & Co's Zetia (ezetimibe) only managed a 15% reduction. A 20mg atorvastatin group was also included in the study, and it was notable that a number of these patients continued through to the end of the trial, indicating some patients thought to be statin-intolerant may actually be able to receive treatment with a low dose. Commenting on the overall ODYSSEY programme, Amit Khera of UT Southwestern Medical Centre said there is no doubt that the drug is an effective treatment for LDL-cholesterol lowering and the results of the trials to date suggest it is safe and effective across "a spectrum of conditions and background treatments". However, "the ultimate validation of PCSK9 as a therapeutic target awaits clinical outcomes trials", he adds. Sanofi and Regeneron are already recruiting patients into the ODYSSEY OUTCOMES trial, which will see if the drug can reduce cardiovascular events in patients with acute coronary syndrome (ACS). Results from that study are not due until 2018. In the meantime, Sanofi/Regeneron and their rivals are hoping to secure approval based on LDL-cholesterol measurements. Khera notes that the results of the IMPROVE-IT trial of Zetia added to statin therapy - which showed a modest reduction in cardiovascular outcomes versus statins alone - "support the potential of non-statin agents and lower LDL-cholesterol targets to further lower cardiovascular disease risk". Earlier this year, Sanofi and Regeneron made a bold play to narrow Amgen's lead in the PCSK9 inhibitor race by acquiring an unwanted priority review voucher - awarded to BioMarin by the US FDA - for $67.5 million. The rivalry between the companies is also spilling out of the clinical arena and into the courts, however, with Amgen suing Sanofi and Regeneron earlier this year for infringing its PCSK9 patent estate. Analysts expect the new class of drugs to generate annual future sales of up to $20 billion.